This week we celebrate our first birthday. Aw so cute! Yes we are officially one year in business and to mark the occasion I thought it might be an idea to list out some of the biggest things I’ve learned personally, in that year. 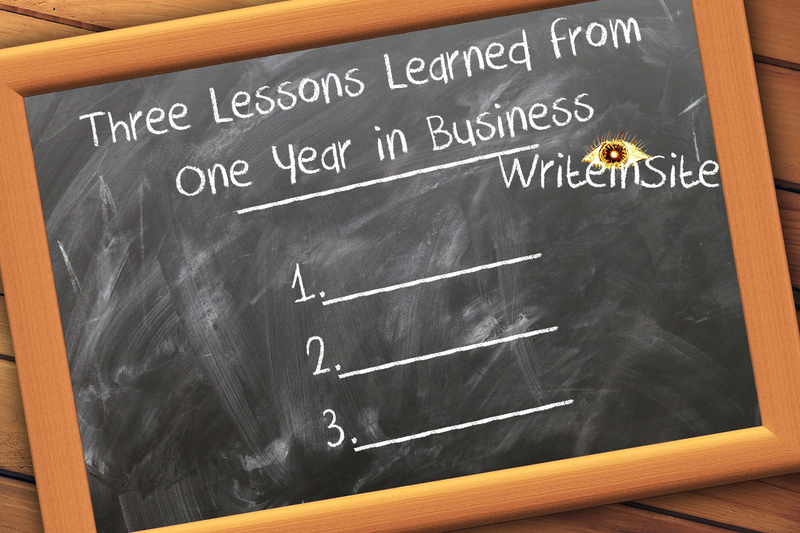 So here are our top three things learned from being in business for one year. 1. People won’t say no, but they won't say yes either! In general we Irish are a very nice, unassuming type. We tend not to complain in restaurants when we get bad service or food. We very seldom ask the annoying talking person behind us in the movies to stop making noise and God forbid we would make a scene if we happened to be the recipient of a particularly bad haircut. Nope, not us. The barber shows you the back of your head in the mirror. It looks like he cut it with a hedge clipper. So, when you as a business are making a pitch or talking to a potential client, you should really see the signs that are pointing to a road going nowhere. As mentioned Irish people are generally polite and would rather shoestring you with the promise of a future yes or a long-term “Think about it” rather than a hard and fast no, or "Not interested". I get that, honestly, I do and God knows I’ve done it myself many times in the past. It’s just that...well, it’s frustrating. I’m sorry but I think I’d rather someone tell me that it’s not for them outright rather than me having them lingering in my diary of calls to follow up on again and again with no real end benefit to me or our business. So what’s the lesson here? >Follow your line or lead. >Make initial contact through social media / make or receive the phone call. >Make your pitch and push for a one to one meeting if possible. >Follow up with an email. >Follow up with a 2nd email sometime later. >Declare it a dead lead. That’s it. That’s our lead protocol that we have been following. Even on that last call we have had people telling us that “Maybe they’re interested” or “Perhaps in the future”. That’s a shoestring and its time to cut it before it soaks up anymore of your time, money or energy resources. Move on to the next. If they are truly interested they’ll come back again and you’ll have lost nothing by declaring it so. You have to know when something is not working for you and your business. It’s the old adage about flogging a dead horse but it rings true here. We dipped our toe into various things that we thought might help the business, like investing in traditional marketing for one. Getting a quarter page of real estate in a newspaper, even a local print costs an awful lot, especially for a start-up /small business. A large chunk of your advertising budget will be gobbled up for a one-off limited person reach. I can’t say that traditional marketing is completely useless. Of course not, but it very much depends on your business and/or business model. A local business might have an on-going printed advertisement campaign that suits them and the demographics of their consumer very well. So be it. The key here is to know your consumer and target audience and choose the correct method accordingly. We had to let this go for now, and think of the money spent as simply a lesson learned. It didn’t work for us, at all. The money we spent at the time on this advertising did not generate any calls or even leads whatsoever. Since then, we here have embraced social media advertising and paid promotion and even after a year, we feel that we have only scratched the surface of a profoundly deep methodology that has worked better for us. Should we have realised that at the time? Should we have realised that an I.T. centric business would have been better with online advertising all along and instead? Perhaps, but that’s what experimentation, which we will elaborate upon in our next point, is all about. Again the lesson here is to know when something just isn’t working and then move on. Make no mistake social media is a marketing tool, a very powerful marketing tool masquerading as a communications medium. If you are in business, you need some form of social media presence in today’s environment. We all know that. Gaining a following, however, is tough. You can start, like everyone starts by encouraging family and close friends to connect and share etc. but it has to expand beyond that of course. There’s no secret method or code to using social media for marketing purposes, despite what a lot of people might say. It’s very much a trial and error process. Like traditional advertising, what works for you may not work for someone else but by all means experiment. Experiment with content, and time of posts and tags and images and video. Delve into paid promotion through Facebook and Google and see how they work for you. Push your brand and business. If you feel that someone or some business may be of benefit to you as a follower, then ask them to follow you. Be polite, explain who you are and what your business does and that you’d appreciate some connections. What’s the worst that can happen? Engage with people i.e. encourage people to comment and share. 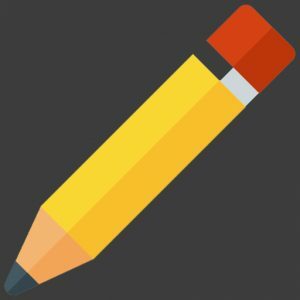 Comment on other peoples content, ask for opinions, make people laugh, teach people. This all boils down of course to good content too. Make it worthwhile for the reader or viewer to stick around and consume content. Make it even better so that they connect with you in order to receive future content. Lastly, enjoy it! This is your thing. If you want to talk about something that interests you, do it. If you feel like making people laugh, go ahead. It's important that we enjoy what we are doing. If not, then why did we choose this crazy adventure in the first place? So remember, experiment, engage, enjoy. We feel that we are still very much in our infancy here and looking back over our year in business a very large portion of our time was dedicated to the promotion and building of business relationships in person and through social media. It makes sense then that our three main lessons learned would cover those topics. Thanks to all you for taking the time to read our ramblings and hopefully we will continue to ramble well into the future.